The Dell Precision M6400 Covet has a lot of people talking, wondering just what this mobile workstation, as it is referred to, delivers to the user. Just the color alone, of the orange casing, has people wondering what is underneath. With so many laptops, notebooks and computers to choose from, let’s take a close look at the Dell Precision M6400 Covet to see exactly what this offers to you. We will look at the specifications, the features and functions, the ease of use, operating systems and much more to find out if this is the mobile workstation for you and your needs. To find out if the Dell Precision M6400 Covet is the machine for you, let’s first take a look at the specifications of this machine. This portable work station was designed to handle a lot and to give you incredible power. There is an optional Intel Core 2 Due Quad Core Extreme edition processor. 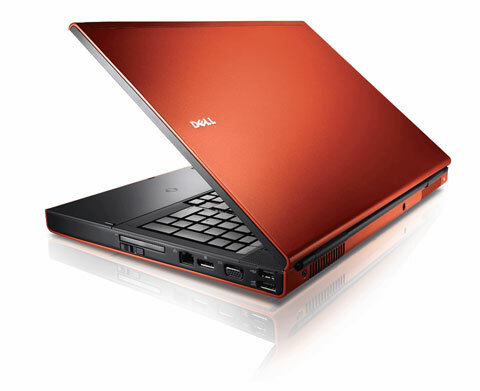 The Dell Precision M6400 Covet gives you up to 16GB memory and also a 1GB dedicated professional graphic card. The operating system on this machine is Windows Vista Business SP1 with media. You will have media bay devices, an 8XDVD plus RW slot load with Roxia and Cyberlink Power DVD. The hard drive on the M6400 is 7200RPM with free fall sensor. This packed machine comes with a built in webcam and microphone and wireless LAN. The graphics are NVIDIA Quadro FX 3700M, 1GB and this all runs on a 9 cell battery. You will have a standard three year warranty. Now let’s look at the details of what this machine can do. The Dell Precision M6400 Covet is the newest work station that you can take on the go. Opting for the Quad core processor gives you unbelievable power. If you upgrade to the 16GB of RAM your storage is an impressive 1TB. 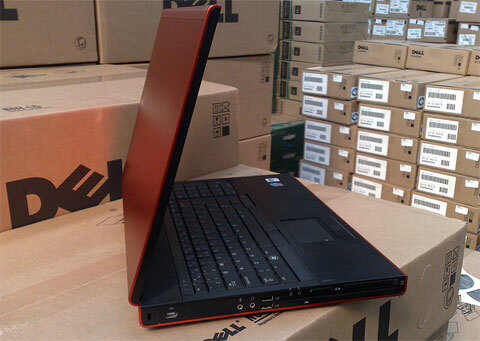 The M6400 has a seventeen inch display, LCD, four memory card, a DVD burner and you can opt to have an SSD hard drive. Regarding connectivity, you are loaded up with ultra wide band, GPS, WiFi and Bluetooth, who could ask for more, one may wonder. The Dell Precision M6400 Covet also has four USB port and an eSATA connection. All of this is put into a very advance design. The M6400 Covet is designed from the ground up to be a mobile workstation with all the needs and expectations of our demanding consumers. Its sleek, energetic orange anodized aluminum chassis and edge-to-edge 17″ screen with 100% Adobe color scope makes a bold statement. It appears that a lot of thought was put into both power and design, right down to the dedicated number pad and the nicely backlit keyboard. You can also easily create a great docking station. The new Dell E-Port Plus Port replicator, with DisplayPorttechnology, let you have connection of two peripheral monitors. The E-Port Plus supports dual Dell Ultrasharp thirty inch 3008WFP displays at native 2560×1600 resolutions by means of DisplayPort. While the price of the Dell Precision M6400 Covet is higher than a standard laptop, one needs to remember what you are getting. This is an extremely powerful portable computer that won’t let you down in just about every regard. Sporty, sleek, strong and loaded up with just about everything, the Dell Precision M6400 Covet is not a laptop to be dismissed.